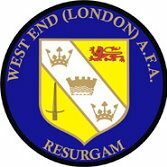 The West End (London) AFA also runs Sunday divisions, which are outside the scope of the FCHD. 2011-12 Yalova reserves IB Albion Primrose Hill "A"
2013-14 Earlsberg Eagles ? ? Division Two was dropped in 2015. From 2017, the league ran only a single section.